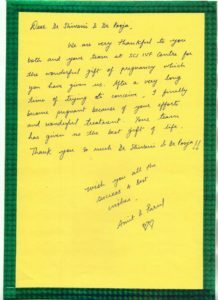 We are very thankful to you and your team at SCI IVF Centre for the wonderful gift of pregnancy which you have given us. After a very long time of trying to conceive, I finally become pregnant because of your efforts and wonderful treatment. Your team has given us the best gift of life.